Moving from one place to another is a quiet common in London and this process tends to be complicated if you try to relocate the items by yourself. It is always better to hire a removals company that can transport your belongings in a professional manner. Our man and van services in Putney, SW15 London help you make the process of relocating things easier. We send a van at your place that helps you get all the items moved from one location to another. Our team ensures that none of your valuable belongings are lost. We value both your time and your precious items. The price of our service depends on the amount of items we will be moving and also the source from where we start and the final destination where the things will be moved to. We use a method of easy calculation in our pricing and it also depends on the amount of boxes. When you call us for a service for moving your belongings our team arrives at the given address and loads the items in to the Luton Van. Then we transport everything to the destination and you just need to check out that your belongings are there in place and in time. 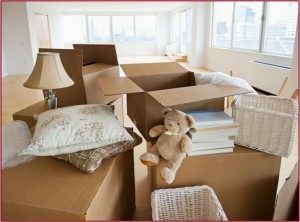 Our services are recommended for relocation flats, offices and houses. The task of shifting your baggage also involves the process of packing your belongings and at the same time unpacking them. The package of your belongings has a special package at our company. The rates are very competitively charged and you need to pay them while they are working with you. Working on your luggage is an important task and it is really important to handle them with special care. Man and Van services understand all your requirements and gives proper attention to your luggage.